Yes you can lift more weight using a compound movement in static contraction. That's great. And a big step forward in training theory over conventional training. Yes it will produce great results. BUT.....and this is a BIG BUT - it does NOT provide maximal contraction or stimulation. Thus it does not produce the best possible training effect or stimulation. Sure, it is wonderfully above current training practice in most gyms and will give you great accelerated results that will keep you safe if you aren't making the errors of problem 1 above, but to simply assume that is the be all and end all is a bit blinkered. For instance let's stick with the bench or chest press. I can lift more in a strong range bench than a full range, thus more stimulation - but is NEVER going to be the best way to train the chest. You can take the various exercises for the chest and other muscles. Look at all of the existing exercises commonly used for chest development and test them. Determine that the bench press is the best because you can move more weight. This does NOT mean more intensity. What is not taken into account are that some exercises commonly used for a muscle group don't really isolate any of the muscle in that group. For example the bench press that was chosen in our example uses the arm and shoulder muscles more than isolating the chest muscles. 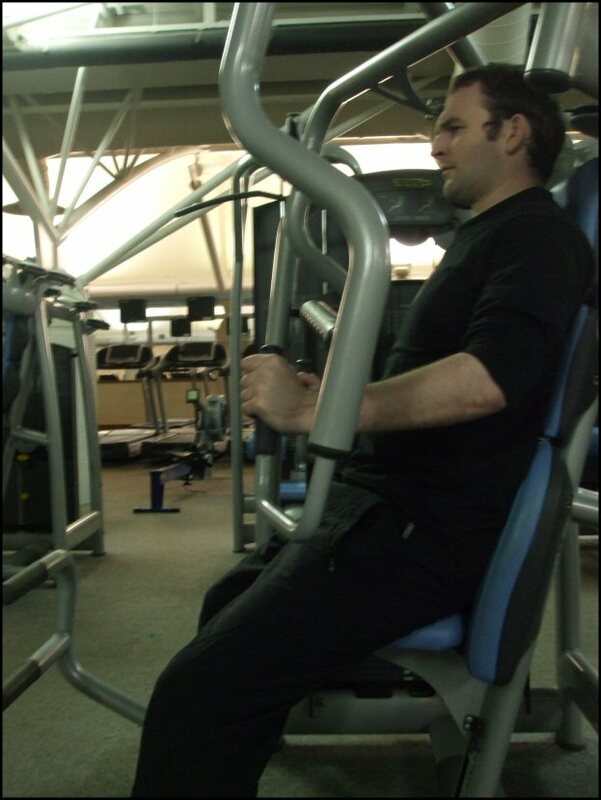 Compare that to a butterfly chest press which isolates the pectoral fibres. As a result you have greater intensity and stimulation in the target muscle, rather than have a larger weight dispersing the intensity over a greater number of muscle fibres. Intensity is the key to muscle growth and development. And which is more intense - a compound chest exercise like the bench press of 500lbs which spreads the weight over 4 muscles at varying degrees in which you lose pressure and thus weight contracted against as you move along the kinetic chain ....ie, 150lbs of pressure would hit the chest, 100 lbs hitting the shoulders, hitting the tricpes, 40lbs absorbed by the forearms, 80lbs absorbed by the triceps, and 120lbs absorbed by the shoulders, leaving only 260lbs of the original 500lbs to be absorbed by the pecs. Compare that to a 360lbs pec isolation. Which will build your chest quicker? Simple the 360lbs isolation, it's less overall weight, but it's a much more intense exercise because the fibre recruitment is higher as it's the ONLY muscle being utilised. More weight is moved in the bench press because of the involvement of the arms and shoulder muscles not from being more intense or effective for the chest. As with free weights you will get some chest development from benching but it is not the best chest exercise. You've been reading Problems with Static Contraction. Discover the FINAL problem with Statics and the Solution!